Groff Tractor & Equipment hosted two milling seminars in Pennsylvania. 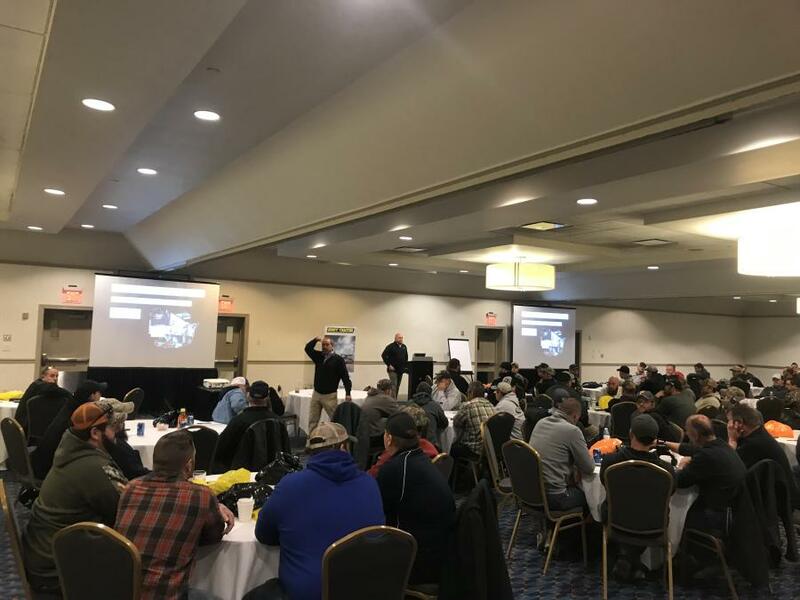 Each seminar covered basic milling techniques through technological advancements and was a great educational opportunity for crews about to hit the asphalt. Groff Tractor & Equipment hosted two milling seminars in Pennsylvania. The seminars were held March 19 and 21 in New Cumberland and Monroeville, Pa., respectively. Each seminar covered basic milling techniques through technological advancements and was a great educational opportunity for crews about to hit the asphalt. Tom Chastain from The Wirtgen Group taught both seminars, which were attended by more than 200 students from 41 companies. "We truly believe that we are business partners with our customers and one of the fundamental things we do is help provide on-going training and support to them. When you deal with Wirtgen and Groff Tractor, you not only get state-of-the-art leading technology machines, but you get the whole package of product support and training," said Michael Savastio, president and CEO of Groff Tractor & Equipment. "We've been doing these seminars for over 10 years and they are a great opportunity for crews to come brush up their skills before the season gets rolling. Each year we cover paving, milling or compaction. I think the customers look forward to it, they not only get to learn and eat great, they can also catch up with other companies before we are into the busy season," said Matt Wilson, vice president of paving and recycling of Groff Tractor. Groff Tractor and Equipment LLC is a full line construction equipment dealer with six locations across Pennsylvania. Groff Tractor carries Case CE, The Wirtgen Group, Takeuchi, Terex, Terramac, Epiroc, Wacker and more.